Devoted2Care Home Care Agency - Charlotte, NC is an in-home care provider serving Charlotte, NC and the surrounding areas. 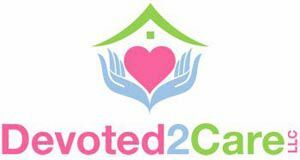 Here at Devoted2Care, owned and operated by a Registered Nurse with on-call services 24/7. We put special focus in providing every family an access to quality care and support as they choose to age and/or recover at home with their dear loved ones. Our staff and care providers have all been thoroughly chosen to provide skilled and professional care services that can answer the demands of our clients and patients. We promote equality in our services, making sure that each patient is granted quality services regardless of condition, background, age, or social status. Our team is available to provide services to include: companion, sitter, & respite services, light housekeeping, transportation services and other basic home management tasks. We embrace the values of dedication, hard work, and client care. We believe that these values when practiced inside and outside of our office, will result in ultimate customer satisfaction. Contact us today for a free in-home assessment!